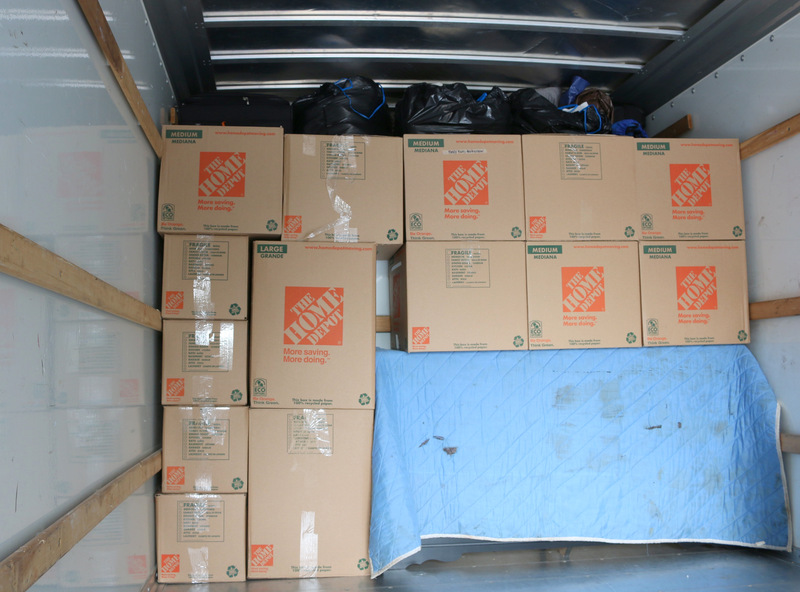 Here are some mini-questions I asked myself leading up to answering the big question – how many movers should I hire for my move? 1. How many friends will be helping me move? A big question to ask prior to booking helpers is how much “other help” will you have? Will you be schlepping stuff up and down stairs? Did you get your boyfriend or parents to come help you? Are you planning to just open doors and lead your helpers to & from the truck, but don’t really plan to do much heavy lifting? Consider allll of your helpers before deciding on the exact number of pros to hire. 2. How much stuff do I have to move? I don’t know about you, but every time I move I think, “Where did all of this stuff come from? 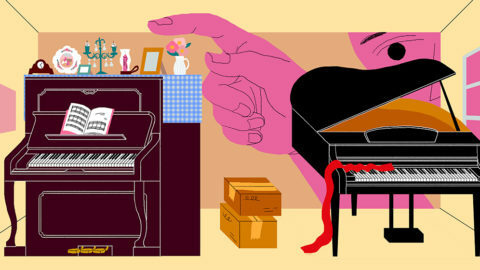 !” I like to think I’m a tidy & organized person, and I don’t hold onto too many unwanted items. But man oh man, when you go to box up your entire life it can be shocking how many boxes it takes to get everything you own secure. Even if you fit into the 1 bedroom apartment category, consider how much stuff you crammed into that 1 bedroom apartment before you decide on the quantity of helpers. 3. 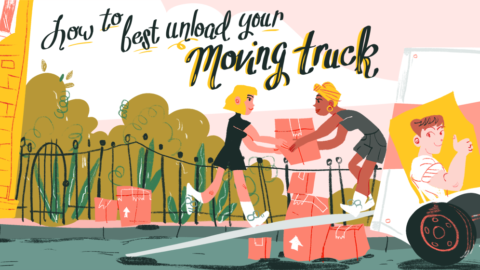 Am I moving any weird or unusually heavy items? If you have an armoire that is hundreds of pounds…you may need more than just 2 helpers to get the job done. Even if the rest of your home is fairly easy to move, you’ll need extra hands on deck for any incredibly heavy or large items. A 3 or 4 man crew is almost always required for pianos or items over 400 lbs. Take inventory of your space and keep that in mind when deciding on an exact number of helpers. 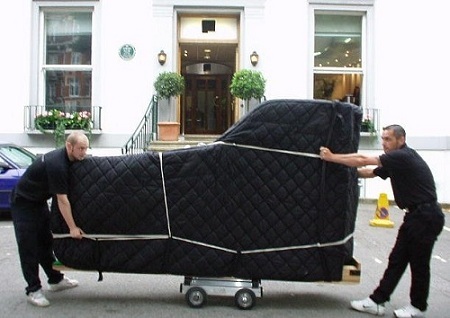 The more movers you hire, the less time your move will take. 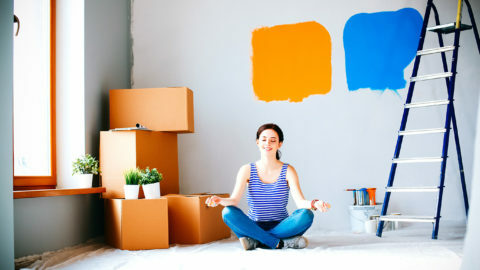 Come up with a few scenarios when booking your move and price out the best option for you. For example, 2 helpers for 4 hours may cost less than 3 helpers for 3 hours. Consider all of your options before you book. Once you ask yourself those questions. You’re ready to figure out how many helpers you need and for how many hours. This chart sums it up wonderfully. And if you need help figuring out how much TIME you should book…here’s some info directly from HireAHelper. Estimating time: Your move could take more or less time depending on how much stuff you need moved. 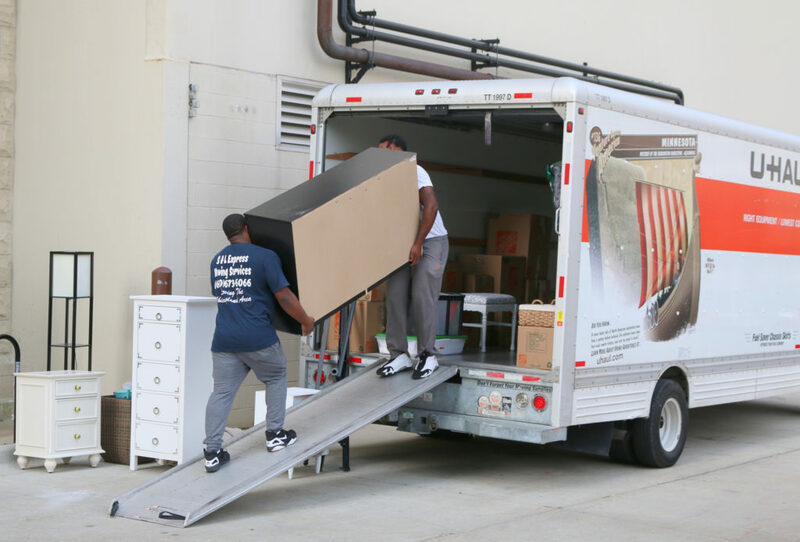 In order to make your move go as quickly and easily as possible make sure your belongings are packed & ready to go on moving day. When estimating your move time add 30-60 min for each flight of stairs. Unused Time: Companies do not offer refunds for unused time. It’s hard work setting up a schedule, and good companies will set aside enough time to finish your job which means turning down other jobs. Your service provider will call you prior to the job date to discuss the details and you can ask them if the hours should be adjusted prior to your job date. Overages: If you think you may need extra time, make sure to ask your service provider prior to your job date if they will be able to stay longer. Sometimes they can stay an hour or two later if you ask them to. At the end of the job you’ll be able to add the time onto your credit card when initiating a payment release. Drive time: Drive time to and from the job location is included in the final price, so you don’t need to add these to your order. 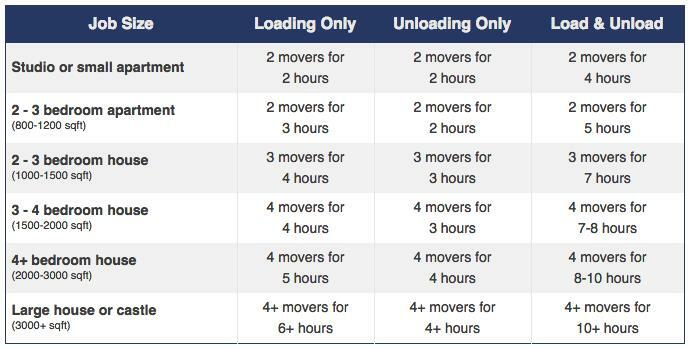 However, if you’re booking a single crew to load and unload, they stay on the clock during the drive between the two locations. And after all that…if you’re STILL CONFUSED…I suggest going right ahead and calling HireAHelper (800-995-5003) – lay out all of your concerns. They should be able to guide you so you book the correct number of movers. 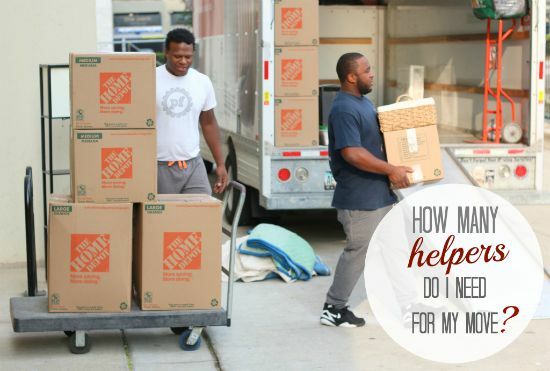 Feel comfortable (& less stressed) on moving day when you hire (the right # of) move helpers!